This was my first WASO concert for 2018, and it was a nice way to ease back into my role as Symphony Patron and Reviewer of Serious Music. The program, which featured three of my favourite twentieth-century composers – Sibelius, Debussy, and Ravel – plus a seldom-performed flute concerto, seemed right up my alley. Fisch and the orchestra began with Tapiola, a nineteen-minute tone poem composed in 1926 by Finnish composer Jean Sibelius. Tone poems emerged as a popular genre in the late-Romantic and early-Modern eras; composers no longer felt tied to traditional musical forms as they began to write longer, single-movement works with freer and narrative-driven structures. Some composers even added prose to their scores, assigning motifs to certain characters, evoking scenes of conflict, adventure or romance through the musical language. Sibelius’ Tapiola tells the story of Tapio, the forest god of Norse mythology. It begins with rich, dark, and low textures, suggesting the undergrowth and the forest floor beneath ancient, looming trees. Under Fisch’s baton, the cellos, double-basses, violas, and bassoons painted thick, woody swashes of musical colour. At this point, only half of the orchestra (stage-left) were playing, in an unusual but beautiful combination of sounds. Gradually, the soundscape shifted to stage-right; the higher-pitched violins, flutes, piccolo and clarinets emerged, rising up to create bright, delicate musical textures. There were twittering bird calls and rustling leaves, recalling the excited energy of springtime. Eventually, the orchestra came together in a rising chromatic frenzy punctuated by frenetic pizzicato strings and whirling glissandi. It was as if Tapio himself had arrived, stormy, vengeful, and frightening. Insistent pedal points from the lower half of the orchestra gave the piece a sense of weight, timelessness, and a grounded coherency. It ended unexpectedly with an ambiguous cadence – soft and high, ascending from the chaos – awe-inspiring and inexplicable, just like nature itself. While I was looking forward to Carl Nielsen’s Concerto for Flute and Orchestra, I did have my reservations. The flute is a stalwart of the symphonic orchestra – sparkling in moments of joy and gaiety, soaring atop luscious harmonies, lamenting with its texture-piercing cry, whispering with a breathy, wavering vibrato – but how does it stand up as a solo instrument with an orchestra behind it? WASO’s principal flautist, Andrew Nicholson, gave a stellar performance. He switched effortlessly (sometimes within single phrases) between florid legato runs and smatterings of whimsical staccato. He and Fisch led the orchestra through calm, idyllic, pastoral musical sections into more adventurous and contrasting episodes: brusque fanfares, determined marches, fast rhythmic humoresque passages set against backdrops of bitonality (having more than one key, simultaneously). The concerto is a lively piece, and it was enjoyable to witness Nicholson’s much-deserved time in the spotlight – particularly in moments of spontaneous musical conversation between the flute and other instruments, such as the trombone (which was one of the instruments Nielsen played throughout his life). But even as a fan of Modern classical music, I found this concerto hard to get into. Perhaps the extra-musical ideas that inspired it (Nielsen’s memoir, and the mythical Greek land of Arcadia) are somewhat unclear or underdeveloped. The second half of the evening featured two French favourites – Debussy’s orchestral Nocturnes (1901) and Ravel’s choreographic poem La valse (1920). It was a treat to have the orchestra expanded to include two harps, a full brass section, and more percussion. The Nocturnes were a lovely complement to the imagery-laden pieces of the first half of the evening, although the wordless womens’ chorus during the third movement, Sirènes, did not seem to blend well, and were somewhat lost in the texture – perhaps because they were positioned up the back, next to the horn and percussion sections. Ravel’s rollicking and extravagant waltz, intended for ballet but more often performed as a stand-alone musical piece, was a fun way to end the evening. Maestro Fisch and the orchestra took us back to the opulence of pre-war Vienna, leading us through the grand ballroom confidently and swiftly, but not without moments of repose in which we were allowed to eavesdrop snippets of intimate musical conversation. 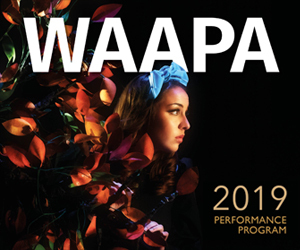 WASO’s 2018 calendar promises a host of exciting and varied concerts. Check it out and support your local symphony here. Top: Asher Fisch. Photo: Sara Hannigan.